“Views! Views! Views!” Spectacular vistas from south to west! Views from all main living areas. This quality built home with custom high quality kitchen is just one of many fine features of this home. Master on main, office or second room, hardwood floors, heated porcelain tiles in the dining/kitchen area, Thermador appliances, vaulted ceilings, windows galore, private deck off the living area - great sun exposure or toast to the sunsets on those sultry summer nights. 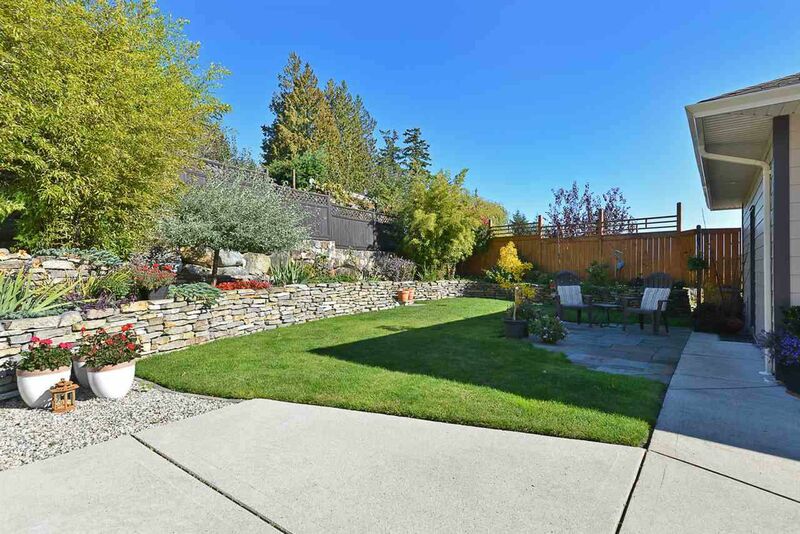 This home offers a large living area down with separate entrance, 2 bedrooms and full bath (could be an in law suite), oversize garage tucked in the back, immaculate manicured gardens and more ...too much to list! Information package available upon request. Call for an opportunity to own this fabulous home!